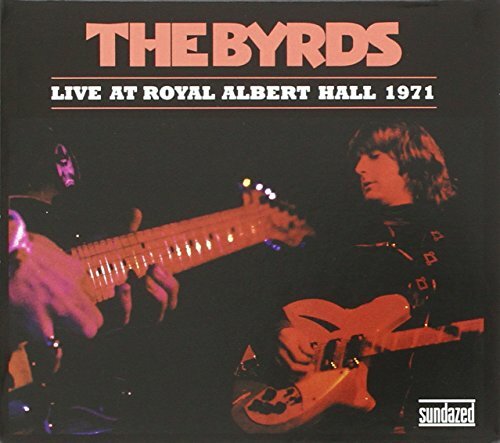 Fly back to 1971 to the Royal Albert Hall in England to be amongst the flock at the Byrds concert. Listen to the 19 tunes on this Live CD and travel to the past as if it never left. Adding ringing electric guitars to Bob Dylan songs, the Byrds helped invent folk-rock, as well as becoming early proponents of psychedelia and popularizing country-rock with the help of alt-country saint Gram Parsons. Led by Roger McGuinn and his distinctive Rickenbacker guitar sound, the mid-1960s lineup--also featuring David Crosby, Gene Clark, and Chris Hillman--achieved fame with their unique take on Dylan's "Mr. Tambourine Man." Personnel changes resulted in a core band of only McGuinn and Hillman. Ultimately, McGuinn assumed full control of the Byrds legacy, and their harmonies and jangly guitars have influenced countless younger bands. If you have any questions about this product by Byrds, The, contact us by completing and submitting the form below. If you are looking for a specif part number, please include it with your message.